Costume Rentals, Sales and so MUCH more in London Ontario. 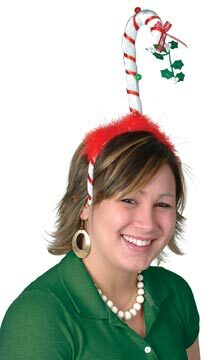 With all the entertaining, parties, and family dinners coming up in the next few days, show your Christmas Spirit with a few fun Christmas Accessories. From Hats, Sweaters, Buttons and Beads…Let the World know how much you love Christmas!!! If you dress like Rudolph, maybe you will be able to fly? While we can’t guarantee you’ll be able to fly like Rudolph if you put on a set of antlers, McCulloch’s can guarantee you will have fun, look adorable and make everyone around you smile and giggle! We think that comes a pretty close second to flying, and it’s a lot safer too! We’ve got antlers, Rudolph hats and light up noses. 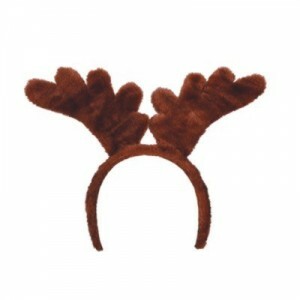 Put a set of these on and if you’re lucky Santa may just ask you to come along and help lead the way! 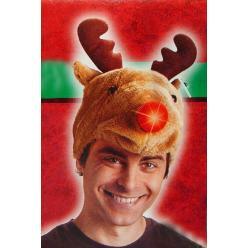 Plush Reindeer hat with light-up nose. Batteries included! Antlers with embedded wire for a customized look. Red nose not included, but we do have these available too! Reindeers can dress up for Christmas too. 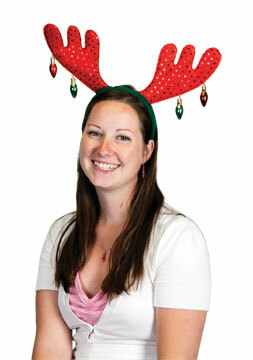 This next set of antlers has some bling added to it for extra fun and pizazz! 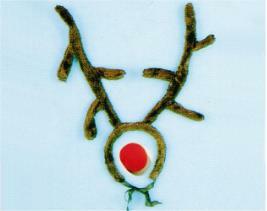 If you are needing a rudolph nose to give the finishing look to your playful and fun Rudolph look, pick up one of these. You can light the way for your family and friends when you go out Christmas Caroling! 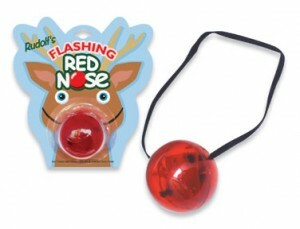 Rudolf’s Flashing Red Nose- batteries included! 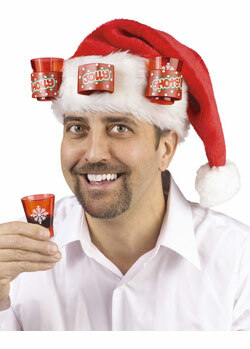 We at McCulloch’s hope we have given you a few ideas to get into the holiday spirit this year! As always, these are just a few of the items we offer. You really need to come into the store and check out the rest of our selection, or, check out our online store from the comfort of your easy chair. If you don’t see what you are looking for, please give us a call and we will see what we can do to make that wish a reality!